Here at ST Minibus Manchester we aren’t just limited to the Manchester area. We also offer minibus travel to and from a number of different airports across the UK. When the time comes for you to book an international holiday then consider us for your travel needs. We can take you to several different airports including the East Midlands Airport. It’s not the most important airport in the country in terms of passengers but it is among the busiest travel hub for freight. It also remains a pretty important airport and is part of the Manchester Airports Group, a group that owns a number of the UK’s airports. The airport began life as an RAF base in 1946 and, in 1965 became a public airport with access for passengers. 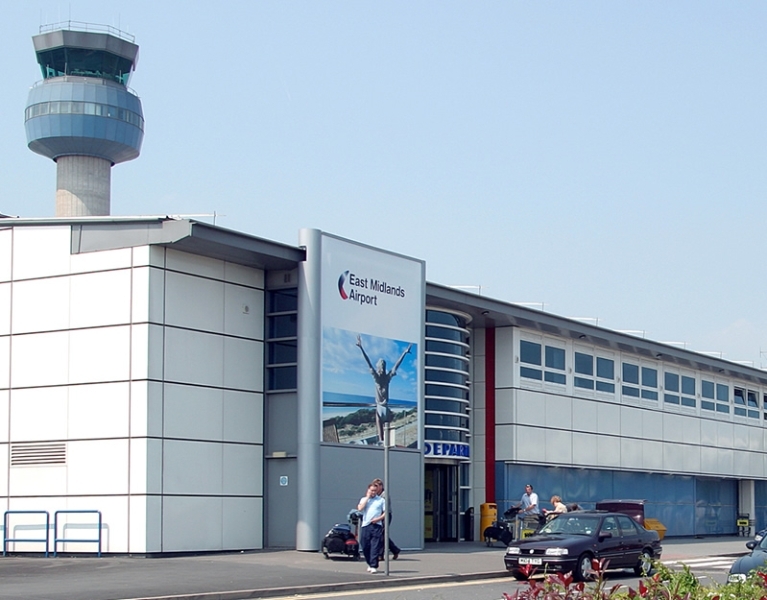 It serves the greater East Midlands area and is the number one airport for the people from that area. So if you’re from the East Midlands and you’re booking a flight it will most likely leave from EMA. If that’s the case then you can count on us to get you there safely and comfortably. If you book a return trip with us you can even count on our professional drivers to make sure that someone is waiting for you at the end of your holiday to take you home after your return flight. We will keep track of when your flight is due back and send someone out in time. Having your travel to and from the airport already booked takes away a great deal of holiday related stress. It seems just about everything leading up to the holiday itself is very stressful and we want to make sure that isn’t the case for you. Get the travel booked early and that’s one less major headache to deal with. If you’re worried about the amount of luggage you’re taking with you then you needn’t be. We have a variety of different sized minibuses including our extra-large eight seater minibus that comes with lots of room for luggage. No matter how much luggage you have we can handle it. If you have people you need to pick up on the way then their luggage can be put in easily too without any worries. That’s easily a load off of your mind. Our buses are as professional as our drivers and well maintained. When you book your travel through ST Minibus Manchester the only thing you need to worry about is everything after you get to the airport, and the packing too of course.